This is one of my favorites breakfast food growing up and, thankfully here, I can eat it for breakfast, lunch, or dinner. Bánh Cuốn is made from a rice flour batter. It’s steamed to form a thin, circular rice sheet and filled with a mixture of ground pork, onions, and wood ear mushrooms. 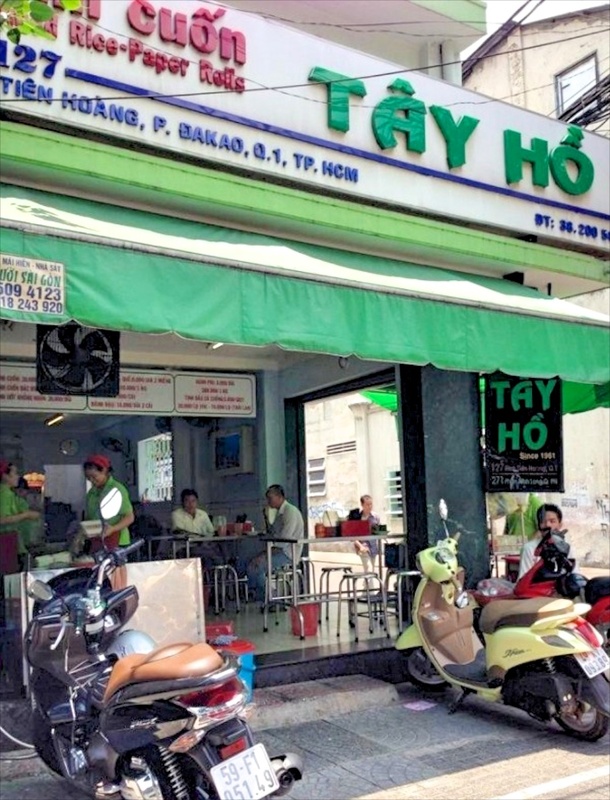 An order here will give you 4 rolls topped with steamed bean sprouts and chopped Thai basils. 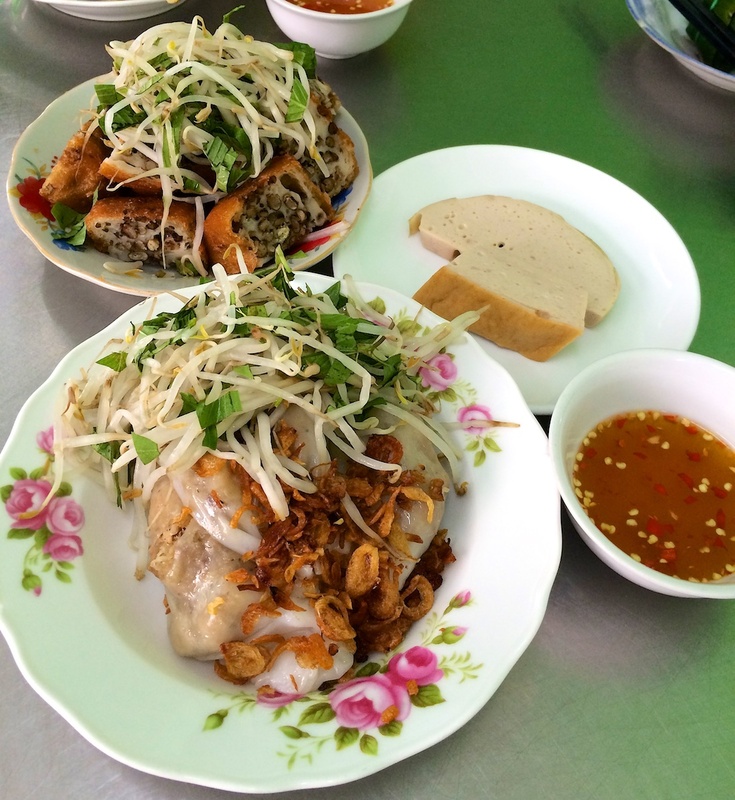 It’s often enjoyed with pork patties (Chả) and deep fried green bean cakes (Bánh Cóng). Also, I think this place makes the best Bánh Cóng! 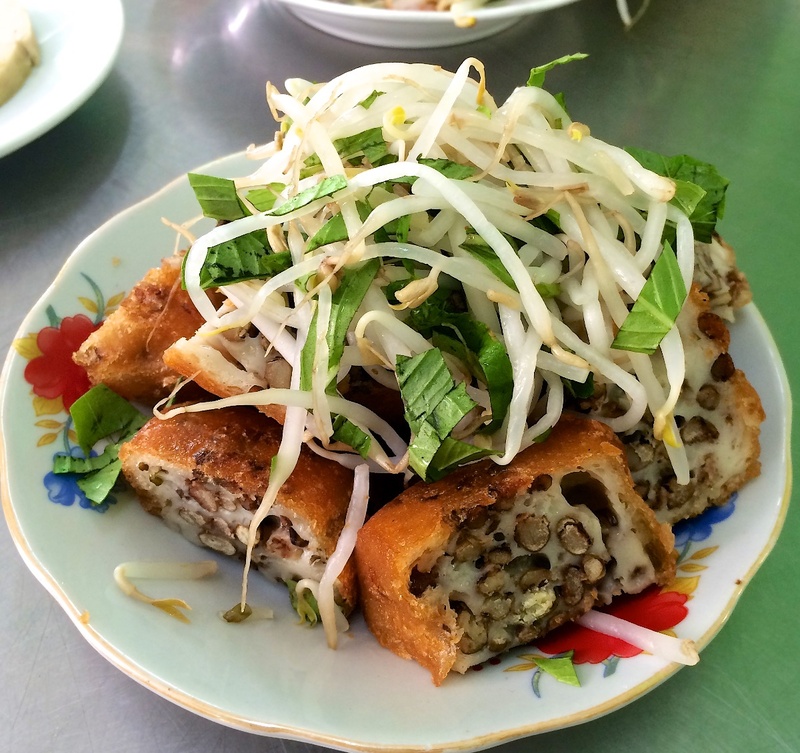 It’s crispy and filled with green/mung beans and isn’t dense nor greasy.